The World Cup final between Svidler and Karjakin was a comedy of errors. We can have lots of fun when the big boys blunder. It’s also very easy to criticize them for their bad moves. Of course it’s very convenient when we are sitting behind our computer and get some help from Fritz, Houdini or Komodo (of course 9.2!). The Norway Chess tournament is until now (after round 5) a very exciting tournament with lots of fighting chess and some spectacular upsets. Who would have thought that Magnus Carlsen would be in the bottom half of the standings with a meager 1½ points after five rounds with still four rounds to go? Magnus is joined in the lowest ranks by his fellow countryman Ludvig Hammer. That is not surprising because Ludvig is by far the lowest rated player (2677) of the line up. But he is of course still a very strong player. See diagram. Hammer and Topalev reached this position after an exciting game. The position in the diagram should be a draw. 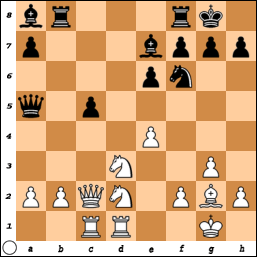 White has two pawns for the piece. 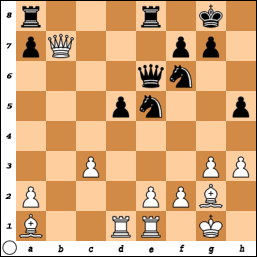 Converting in the right moment to an endgame with the bishop and some pawns would yield a draw. And even when all the pawns disappear from the board white still has hope for a draw because the rook + bishop versus rook ending is, except for some positions, also a draw. 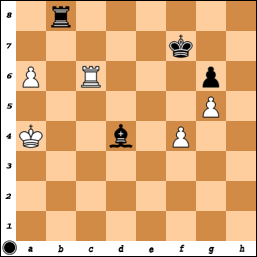 Although in that case black would definitely have practical chances. Unfortunetely even strong grandmasters sometimes make horrific mistakes in the endgame. As usual there is a big difference between ‘should be a draw’ and ‘is a draw’.